InterECM provides a sample HTML code which you can embed onto your website to allow visitors to sign up and subscribe to specific interest groups. Integrate your customer database to provide fully personalized or targeted messages to your customers. Spam is not permitted. This virtually eliminates the possibility that an ISP will misconstrue your legitimate, opt-in email as spam and block it from entering your recipient's mailbox. Create business email marketing campaigns that target several languages. InterECM is Unicode-aware and supports most major languages. Your direct email campaign messages may also embed any number of attachments. No limits are imposed. Preview and even send a test message to yourself (or your associates) for confirmation before delivering the campaign. Test messages are fully personalized so you can view your actual campaign, not just template messages. The built-in scheduler feature lets you schedule your campaigns to run at any time you desire, freeing you from the need to be physically present from start to end. The results of InterECM's extensive tracking are presented in a detailed reporting page which allows you to analyze your campaign. With the reports provided, you can determine the most popular links in your email, reach of the email, and even the hour your recipients choose to view their mails. Historical reports provide snapshots of campaign responses for a total of 30 days. 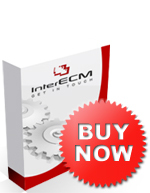 The InterECM direct email marketing software is equipped to handle high volume traffic. Its campaign management features and scalability functions make it the perfect bulk mailing software for business marketing. Buy email marketing software with a difference. InterECM offers round-the-clock support to users in Kuala Lumpur, Malaysia and other territories.